Lone Wolf is a novel about a seventeeen-year old Cara Warren who lives with her father, Luke, the rewarding animal conservationist. After his divorce, he lives with his daughter and his wife, Georgie, remarried and has a twin. Their son, Edward, lives in Thailand, where he moves after a fight with his father. The novel portrays the quarrel that takes place between the two siblings after their father went into a coma. Edward who estranged from his family for 10 years decided to terminate his father’s life while his sister totally disagrees. Between the disagreement between the two siblings, which was finally moved to court, we hear Luke’s voice through his book, the one he wrote about wolves. Through this book, we get to know the real Luke, the compassionate, the loving and caring man, husband and father. At the end of the novel, both siblings agree to terminate their father’s life as they come to the conclusion that this is what their father would like them to do. Like Leaving Time, this novel explores human relationships through comparing them to those of animals. This comparison enhances those emotions and offer the reader another room to examine those relations. However, unlike Leaving Time, this book is so boring ! 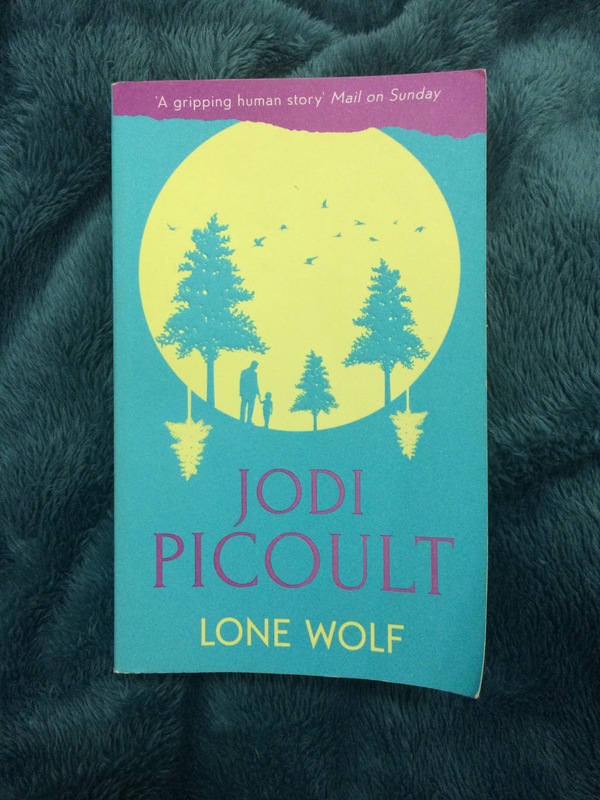 This is the first time ever that I feel bored reading one of Picoult’s novels ! It is repetitive and almost the same dialogue repeated over and over again. The details about the wolves are boring too. The same discussion about them is inserted in every chapter about Luke. There is one idea the novel tackles and it does appeal to me: never judge people. Everyone used to think that Luke is an inconsiderate man, a man who cares about his packs more than his family. But we learned that he is totally different. He is one loving man. He just cannot express his emotions, but the small things he did for his family shows how much he loves them. The novel tackles an important theme, but it was badly treated. I loved Edward’s part in the story…his sacrifice, his love to his family and his dedication. It is so overwhelming and impressing, but the rest is so typical and thus tedious. I think the novel will be better if the details included about wolves were less.